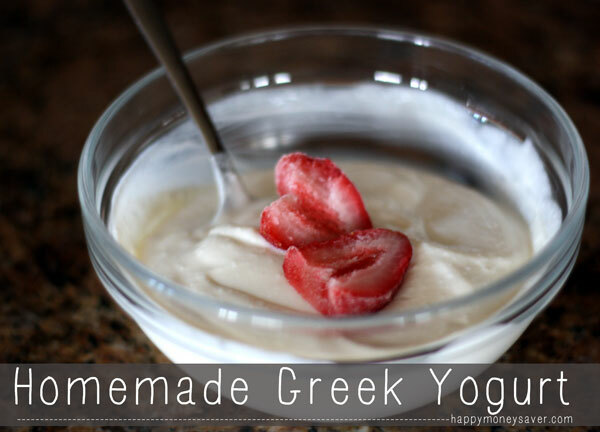 Oh my goodness….I made homemade Greek yogurt!! 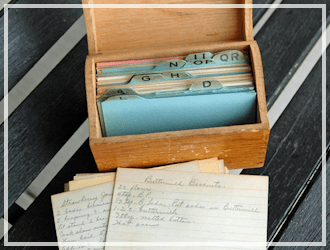 This was by far the BEST, coolest and easiest homesteading projects I have done so far. Seriously, like drop-everything-and-try-this-now-cool. Making yogurt is like magic. Really, MAGIC! I mean basically you are taking a little bit of yogurt, adding it to milk and waiting. Then it turns in to yogurt all on its own. It was a beautiful thing. And the taste? Oh man, I was in heaven. The flavor of homemade is so nice & mild. It just takes some time to make homemade greek yogurt… 22 hours to be exact. 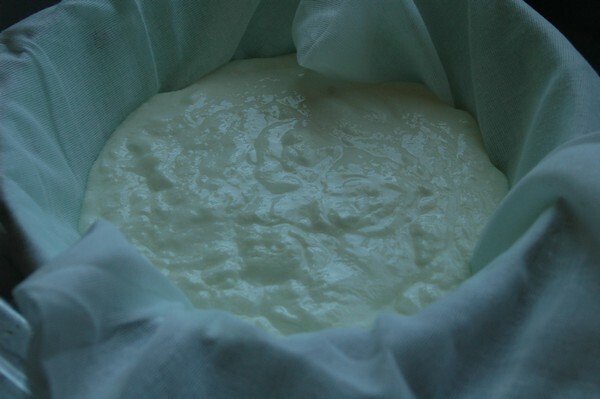 So it will take you a whole day to make yogurt, but it’s not labor intensive – you are just letting it sit there. 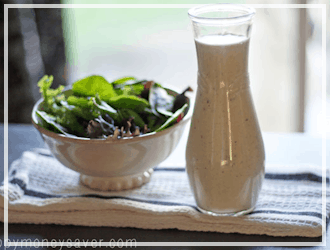 First thing to do is to take a gallon of milk – you can use any kind. 1%, 2% or whole milk. I used whole milk and poured it into a large pot. Make sure and reserve 1/4 cup. Bring the pot to a boil, and then turn off the heat. 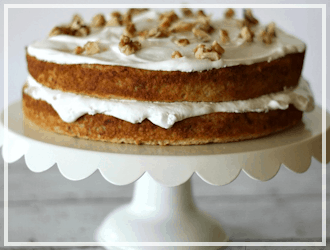 Let it cool until the temperature reaches 100 degrees. Then remove the film on the top. 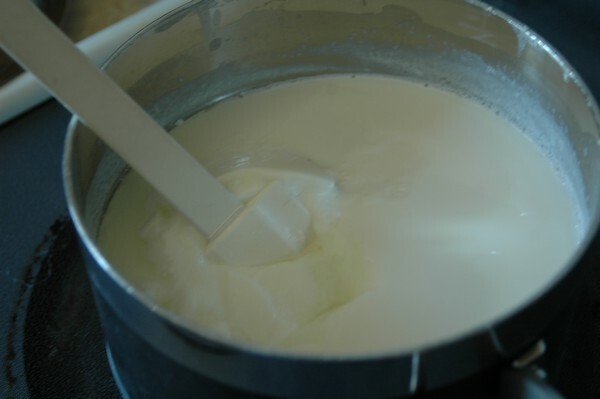 While that is cooling, mix together 1/4 cup of plain yogurt and the reserved 1/4 cup milk. I used the Greek Gods plain yogurt brand, cause it’s my favorite. 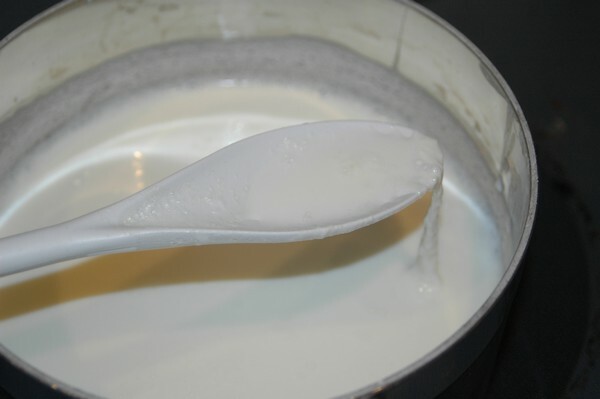 Then once it reaches 100 degrees, mix in the yogurt/milk mixture. 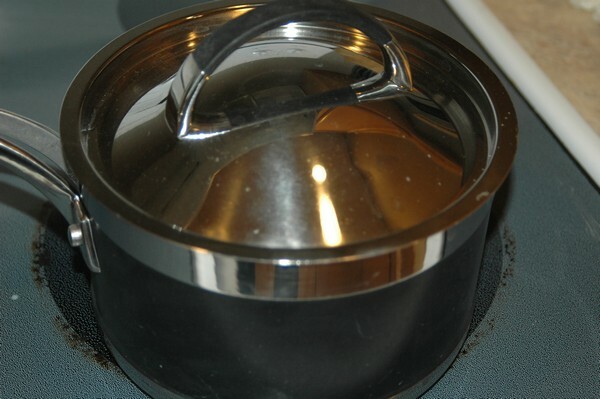 After you mix it up gently and thoroughly, cover the pot with a lid. Then wrap in a towel. 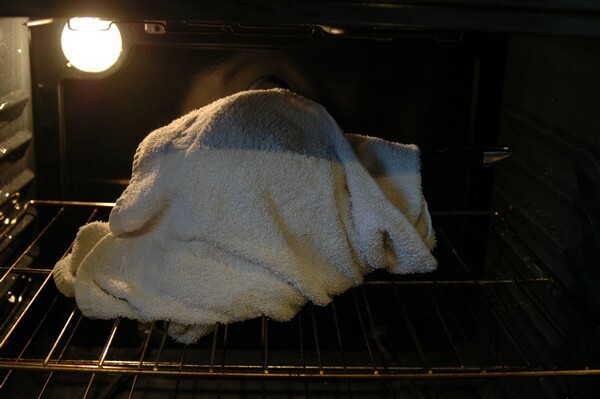 And leave in your oven with the oven light on only for overnight or 16 hours. Then after the time is up you magically have yogurt!!! It is so cool! You can stop right here and you have regular yogurt, or you can strain it further if you want greek yogurt. 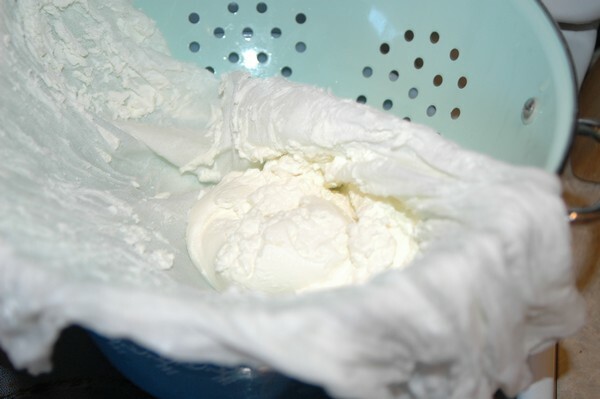 Using a cheesecloth or flour sack towel start draining it inside a colander. Every few hours either squeeze the towel or use a spoon to stir it to help it to drain faster. And after about 6 hours you have nice thick Greek yogurt! Let me tell you……this stuff is AMAZING. 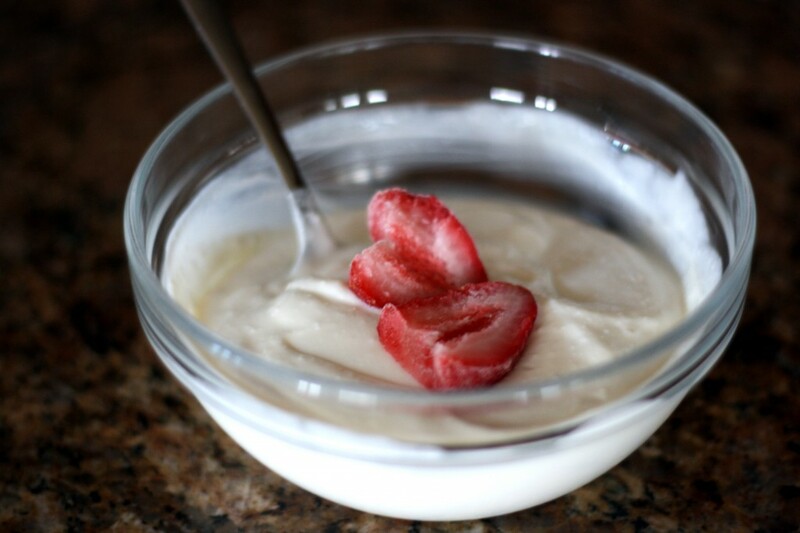 It is so rich and creamy, and incredibly mild compared to regular plain yogurt….it’s not as tart. I added in some honey and it was just glorious! You could also add in some fresh fruit- oh that sounds lovely. WORTH THE COST? YES – a tub of greek yogurt costs between $3-$5 at the stores. You can buy a gallon of milk at Costco for around $2.00 and it will make around the same amount of greek yogurt. So you are saving money by making it yourself. WORTH THE TIME? 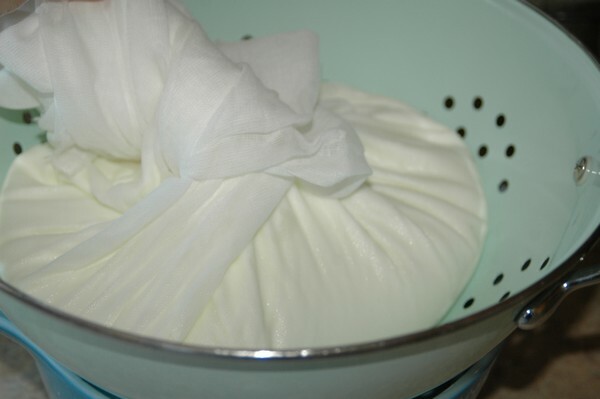 Although it is super simple to make, making greek yogurt does take around 22 hours to make. Most of it is just sitting there, so it’s not labor intensive. It does the work itself. 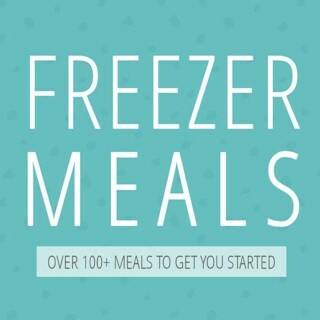 To me it’s worth the time since I use greek yogurt almost every day and the savings are great too. I was hoping to make my greek yogurt taste like the Greek Gods Honey yogurt, but the texture just wasn’t exactly the same as I wanted it to be. But the flavor came pretty close. If I ever do figure out how to make it taste like the Greek Gods brand I will let you know. There must be a secret ingredient…hmmm.. I think I will try next time making this in a crock pot instead. I hear it works just as well. 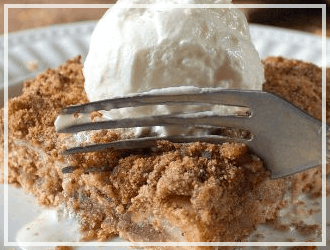 This recipe is life changing! Learn to make your own Greek Yogurt. 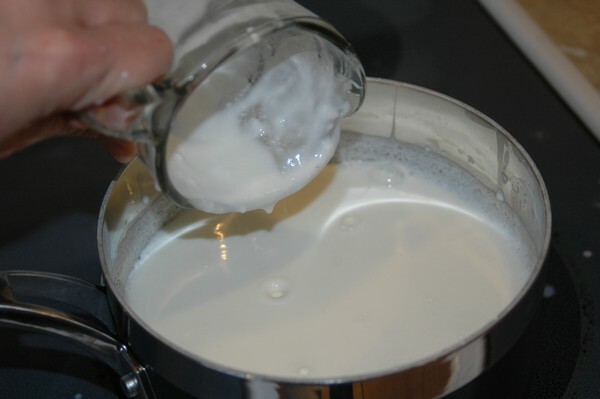 First thing to do is to take gallon of milk and pour it into a large pot. Make sure and reserve 1/4 cup of milk. Bring the pot to a boil, and then turn off the heat. 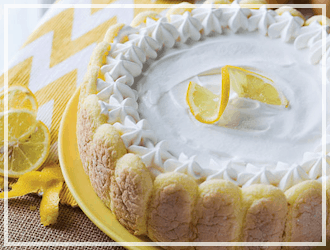 Let it cool until the temperature reaches 100 degrees. Then remove the film on the top. 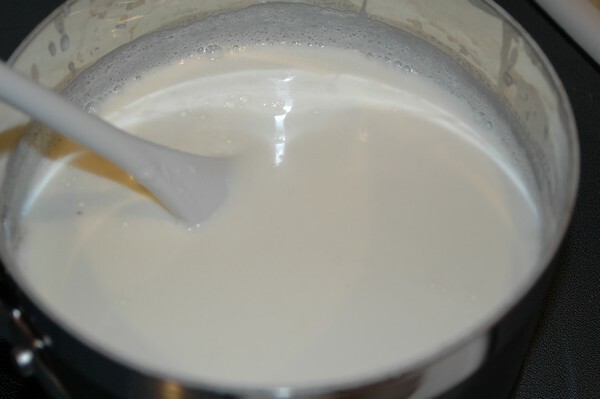 While that is cooling, mix together 1/4 cup of plain yogurt and the reserved 1/4 cup milk. Then after the time is up you magically have yogurt!!! 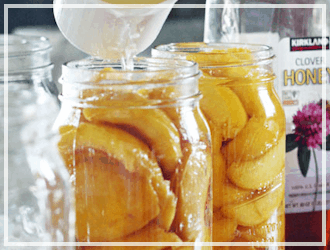 If you desire you could add honey and or fresh fruit. 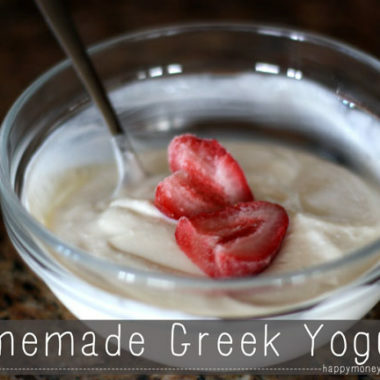 Have you made homemade greek yogurt before? 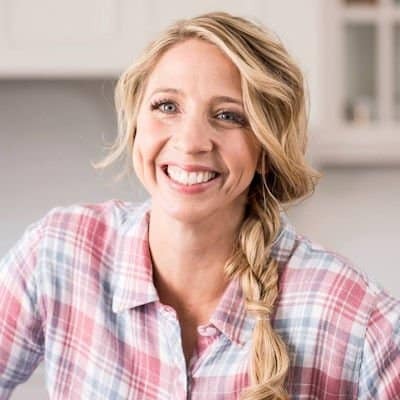 i really hunger after seeing your recipes. I have to try these. OMG i just found this site and i must say i have to visit it more often. I have never made my own yogurt before but sounds like it may not be too hard to try. I just learned how to do refrigerator pickling of my jalepenos i started to grow. Love LOVE LOVE LOVE the site so far. What exactly is teh whey? The thick stuff that you get if you strain to get the “greek” yogurt? Store-bought greek yogurt just does not compare to the homemade stuff. 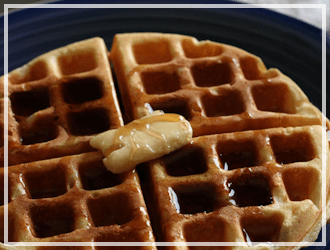 I linked to this in my Pancake Mix Fix post. Thanks for sharing. 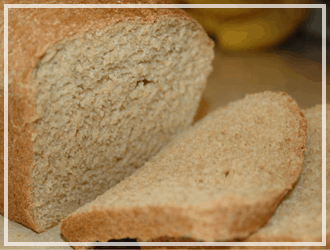 I agree–homemade is so much better! Glad you like it! I found putting the pot inside a hot/cold bag from Costco works wonders for keeping the temp while it cultures. I just zip it and toss it in the oven ( tokeep it out of the way) for 12 to 14 hours. Great tip–I’ll try that next time! We always called this ‘yogurt cheese’. I never had Greek yogurt, so maybe it’s time I tried some. I love the crockpot idea. I usually make mine in an old mayo jar wrapped in a heating pad on low, inside a styrofoam cooler covered with a thick dishtowel-because the top won’t close with the cord hanging out.